Robobrains have been a staple of the Fallout universe for ages. Ever wonder where the brains sitting atop those mech noggins actually come from, though? 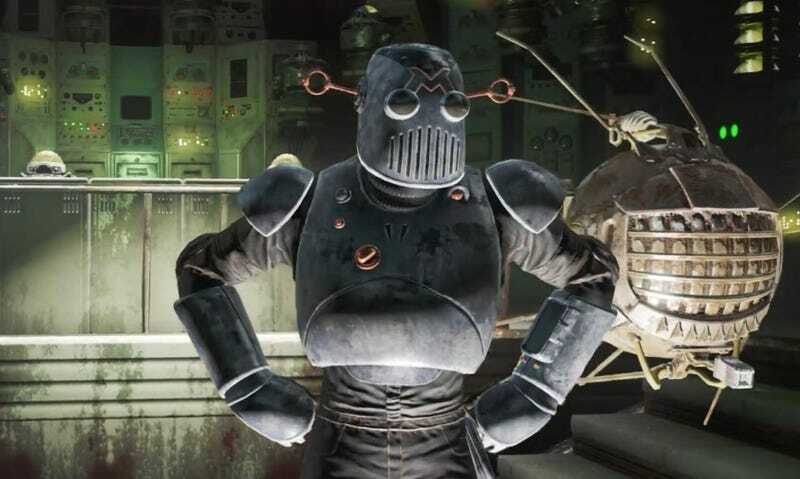 Fallout 4's first DLC, Automatron, is all about the player’s quest to stop the robotic underlings unleashed by the Mechanist (pictured above.) In the process of infiltrating the Mechanist’s lair, the player goes deep into a Robco facility—where they can find out the dark origin of Fallout 4's Robobrains. Spoilers ahead, obviously.